I'm by no means a big Johnny Depp film after his recent batch of rubbish from Pirates of the Caribbean: On Stranger Tides to Alice in Wonderland - but his latest film, The Rum Diary has gotten me quite excited. Bruce Robinson (Withnail & I) directs this adaptation of the Hunter S. Thompson novel about a freelance journalist facing a critical turning point in his life as he writes for a small Caribbean paper. Given the quirky nature of; the source novel, Robinson's previous directorial efforts and star, Depp, this is bound to be an extremely interesting/exciting picture. Depp previously worked on Hunter S. Thompson's material in the wonderful Fear and Loathing in Las Vegas - so that gives us a rough idea of what to expect from The Rum Diary. There's also co-starring roles for Amber Heard, Aaron Eckhart, Richard Jenkins and Giovanni Ribisi - a stellar line-up. 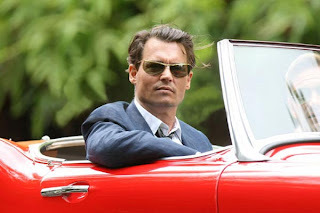 It also looks incredibly funny from the trailer with Depp being allowed to show of his comedic talents. And those Puerto Rican locations look amazing. You can see the trailer here. 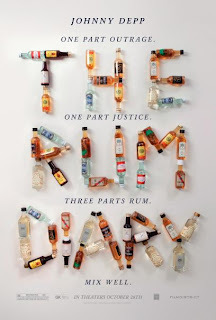 The Rum Diary looks set to be excellent, madcap fun and is one of my most anticipated of 2011. You can expect to see it on the 28th of October in the USA and 4th of November in the UK.